MacBook Pro? I have one. Actually, I have multiple MacBook Pros, I only buy newer versions when I think I have to upgrade my device. My current MacBook Pro has the OS X El Capitan. I want to get an upgrade to a macOS Sierra. Is it actually worth it? Or should I stay with OS X El Capitan? Can you give me a comparison between the two? OS X El Capitan vs macOS Sierra: there are its own drawbacks and benefits. And if you’re thinking about upgrading from OS X El Capitan to macOS Sierra, then you’re looking at the right guide. We’re going to look into detail about how the macOS Sierra compares to the previous OS X El Capitan. By the end of this guide, you’ll know if Sierra is actually worth the wait. Before we actually start with the comparison, you have to know that macOS Sierra runs on almost any Mac bought after 2009. Plus, you can only make an upgrade from OS X El Capitan. You can’t skip El Capitan and run from Yosemite to macOS Sierra immediately. Now, let’s start with the comparison. We will be giving you a comparison of the performance, features, and system requirements of both El Capitan and macOS Sierra. These are the most common criteria used when making a decision as to whether you should keep El Capitan or upgrade to Sierra. Some measurements included in this guide are actually approximations. It might be different for a specific type of Mac device (e.g. battery life). The said metric depends a lot of on age of the Mac device and its usage intensity as well. El Capitan allows you to sync the usual stuff across multiple devices. These include Calendar, Notes, and Messages. On the other hand, macOS Sierra has added new folders for syncing. These folders include Documents and Desktop. El Capitan does not have Siri in it. However, with macOS Sierra, Siri is available. El Capitan doesn’t have an Apple Pay feature within it. However, macOS Sierra has this feature and it works very well within it. When it comes to El Capitan’s space management, you have to do it yourself by being organized when it comes to your files and folders. However, macOS Sierra gives you the Optimized Storage feature. Plus, it comes with features for cleaning. El Capitan doesn’t have the Apple Watch Unlock feature. However, macOS Sierra has it and it works perfectly fine. As you might have noticed, macOS Sierra is filled with a lot of new features. Some can be taken advantage of if you have multiple Apple devices such as the Apple Watch or the iPhone. The Optimized Storage feature has taken storage maintenance to a whole new level. 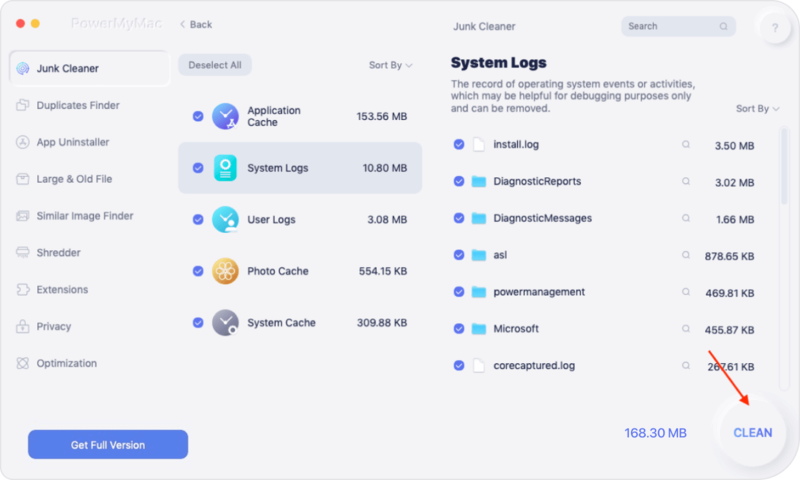 If you wish to ensure that your system runs smoothly after installing one of these two versions, you have to use third-party applications such as a Mac Cleaner. 01 - It helps to enhance the performance of your Mac by speeding up the entire device’ processes. This is because it helps to remove the junk or clutter that clogs up your device and causes it to slow down. 02 - Its one-click feature allows you to scan your Mac device and clean up unnecessary files with just the press of a button. 03 - It is a powerful application that comprehensively scans your entire Mac device. It even has the ability to check the status of your device showing an update of its CPU, Memory, and Storage states. 04 - It allows you to select the files you want to delete and even keep the files you want to be kept. Plus, it sorts the comprehensive scan’s results by a variety of classifications such as size and date. 05 - It gives you a free trial for the first 500MB of data. You can use the tool without having to pay cash upfront. You can test it if it really works. 06 - It is a hundred percent secure. Meaning, it doesn’t have any viruses or any malware that might cause damage to your device. 07 - It gives you support through email in case you have problems with the tool. You are also offered a one-on-one free training and support. Download iMyMac-Cleaner from the official website of the brand. 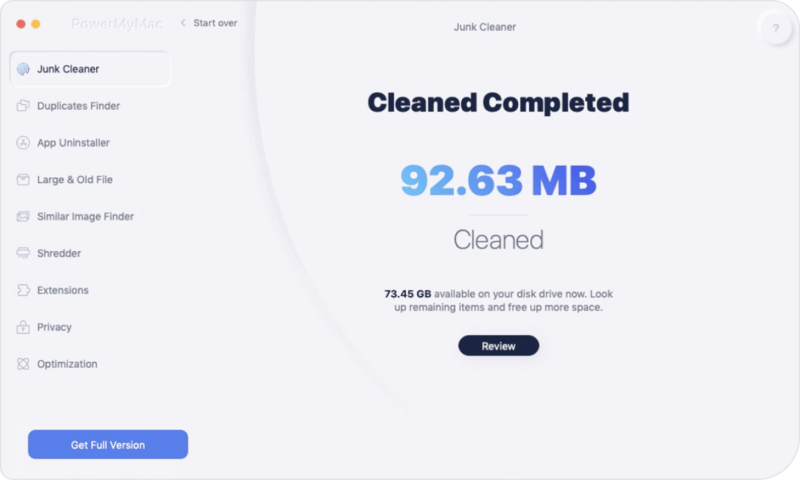 Launch the iMyMac-Cleaner Tool on your Mac. The system status will be displayed. On the left-hand side of the screen, select Junk Files. Click Scan and wait until the scanning process is complete. The results will show the junk files in various classifications such as Application Cache, System Cache, Trash Bin, Etc. Click a particular category you want and preview the files contained within it on the right-hand side of the screen. Select the files or data you want to clean. Click Clean and confirm the process. Wait until all selected files are cleaned. It will show folders as Zero KB if it is already deleted. Some files will not be regarded as Zero KB because they are auto-recreated folders. Repeat steps 01 to 07. However, on the third step, you have to click Large & Old Files OR Clutter instead of Junk Files. That’s how you clean up your Mac device. Another new feature you can find in the Sierra is the helpful assistant Siri. Although the assistant can’t do all the tasks for you, it can still help you find the files you need on your Mac device. Plus, it can help you find restaurants you might want to go to for a birthday dinner. The El Capitan works with fine especially when you have more than enough disk space that is about 10% or higher. On the other hand, the macOS Sierra runs better and faster on new Mac devices. Plus, it looks snappier maybe because it’s a new system that appears cleaner. The battery life of OS X El Capitan is approximately 6 to 7 hours on a MacBook Air bought in 2013. However, it has a shorter lifespan on macOS Sierra (for the same device). This is at 5 to 6 hours of battery life. Although, this is a usual trend that happens when you upgrade your OS X. When it comes to security, El Capitan is already solid. However, macOS Sierra does it better with 65 security fixes. When it comes to performance, thinking about which is more powerful or faster, it’s difficult to judge both versions. However, a new system might be snappier and have faster responses. This can be due to the fact that it’s a new version and the faster response might be lost in a year or two. Let’s talk about system requirements then. El Capitan and macOS Sierra requires 2GB of RAM. Both OS X El Capitan and macOS Sierra requires a free storage space of 8.8GB. OS X El Capitan will work on models starting late 2008 (and higher). However, macOS Sierra requires models from late 2009. But mostly, it works in models from 2010. You can actually check out Apple’s Support Page to ensure that your Mac model is compatible with macOS Sierra. To sum it all up, you can actually have a macOS Sierra if you check out the system requirements and your Mac model is from late 2009 (or higher). It is a pretty solid version of the macOS and can be a great upgrade to that of El Capitan. 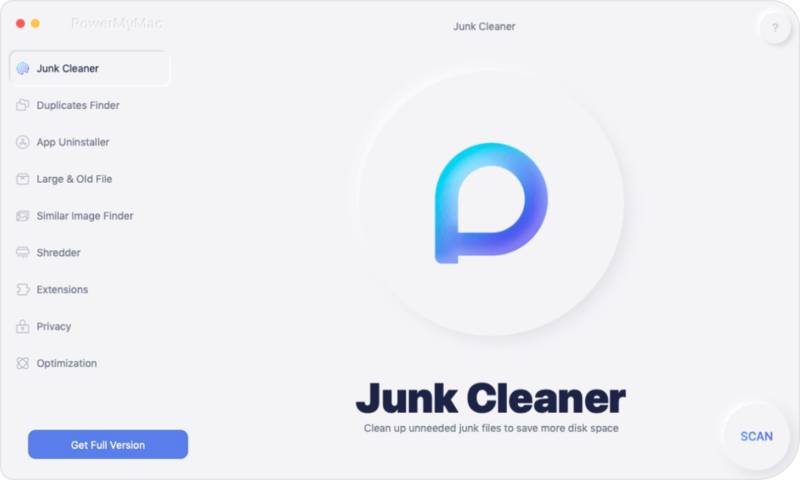 Finally, if you really want to get an upgrade of your OS X, ensure that you use iMyMac’s Mac Cleaner to ensure your device is in tip-top condition.